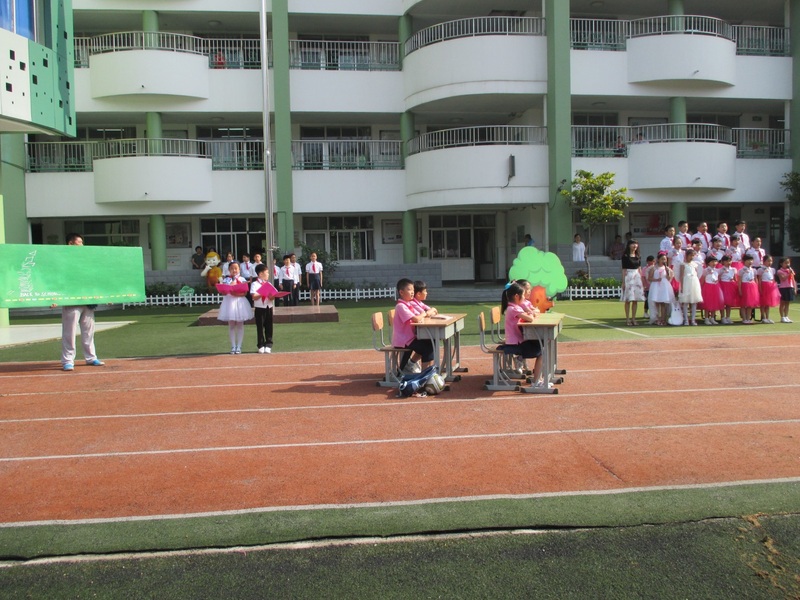 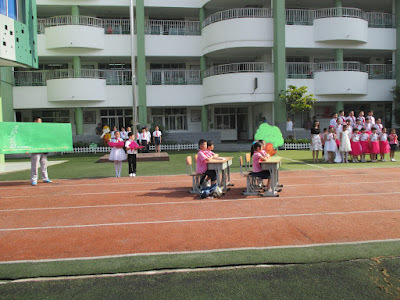 Monday mornings, there are formal opening exercises in the elementary school where we are working complete with brass band, student led flag salute, and a short play about the virtues of cooperation. 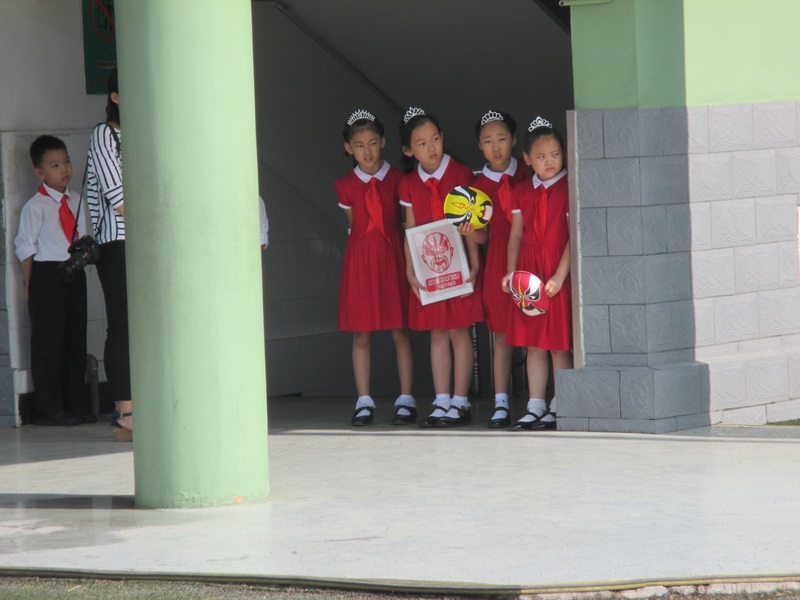 Some students dress in the school uniform; some simply have the red tie. 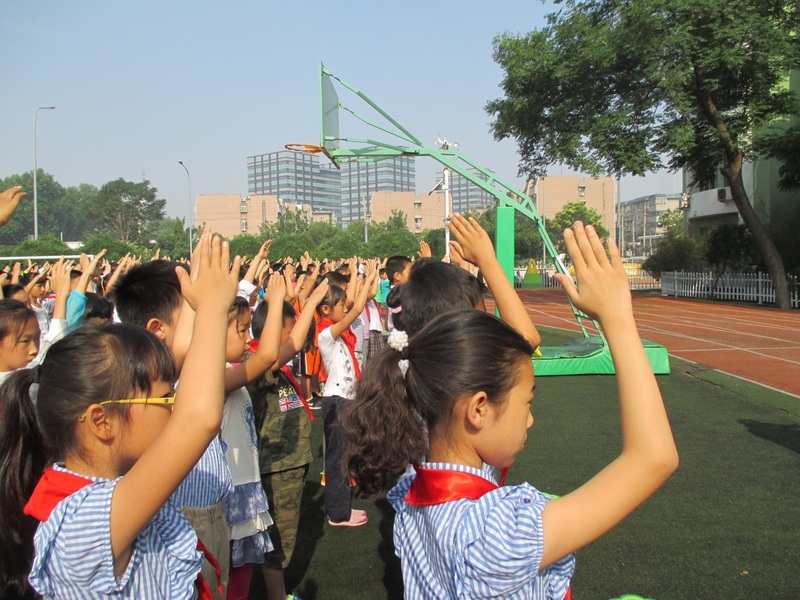 If not, they may wear the school pin with the Communist Party insignia. Little girls in red dresses welcomed us in memorized English and brought us small gifts.